A final cast table read revealed many big deaths coming for the final season. "Game of Thrones" fans are going to be in for an epic wild ride during the last season of the series. Fans of the show probably could have predicted that the end of this HBO hit show and cultural phenomenon would not exactly be a happy ending. "Game of Thrones" is no stranger to killing off not only our most hated characters of the series but also some of our most beloved. Fans can't help but wonder the fate of fan favorites Jon Snow, who has already escaped death, and Daenerys Targaryen, mother of dragons. At the conclusion of season 7, the two became involved romantically at the same time it was confirmed what fans had speculated all along, they are actually blood-related. And according to Esquire, Orsi also said that “By the very end, everyone looked down and looked up and tears were in their eyes.” and that everyone stood up and applauded for about 15 or 20 minutes after the last scene. The HBO executive is certainly hinting at some seriously dramatic plot lines coming our way. Fans will have to wait until April of 2019 to see exactly how this journey will play out. But this will not stop lovers of the show from coming off with plenty of theories in the meantime to who will die, how and why. 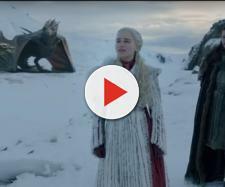 A lot of these theories seem to center around the fact that in the season 7 finale, we got see the destruction and power of the ice dragon as he begins to melt the wall as the Night King rides along. We all can't help but think how will anyone ever be able to stop the White Walkers now? And according to other fan theories, the Night King is actually the Lord of Light who can raise people from the dead, meaning he will also have a full army of dead bodies at his disposal. And the more that battles continue, the more bodies he will have on his side. Is this how some characters will see the end? 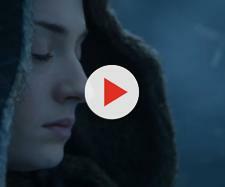 There are also many theories that do not involve the White Walkers at all, some of the predictions surround ongoing battles between the powerful families, specifically a constant power struggle with Cersei Lannister and Jon Snow. The possibilities are endless of the way things can go, and die-hard fans must admit, despite being ready for their favorite show to end or not, an intense bloodshed ending for "Game of Thrones" is only fitting.